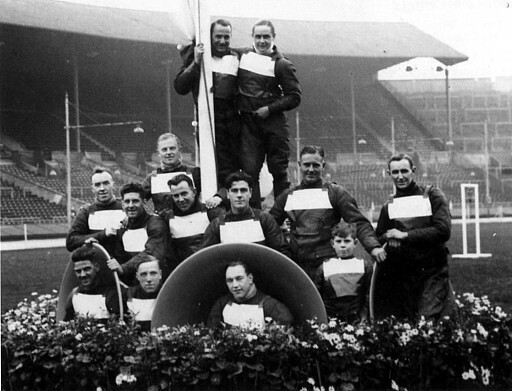 daughter Barbara Batistich has shared those memories with us and has also produced a book on her Father's career. 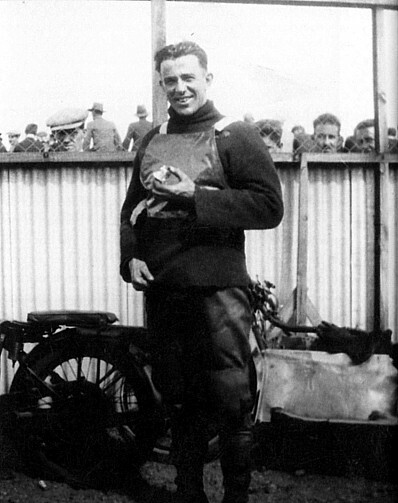 Colin in the late 1920s at The Geelong Drome -Kardina Park - Victoria - Australia. 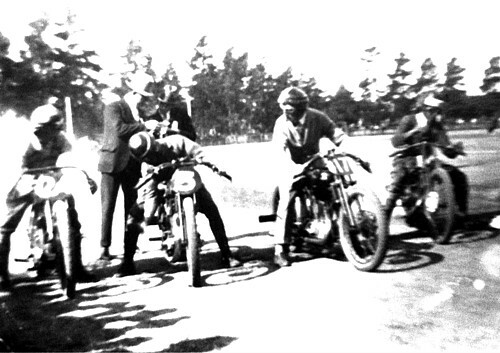 The Drome -1926 - Colin (far right) on a Cotton bike. 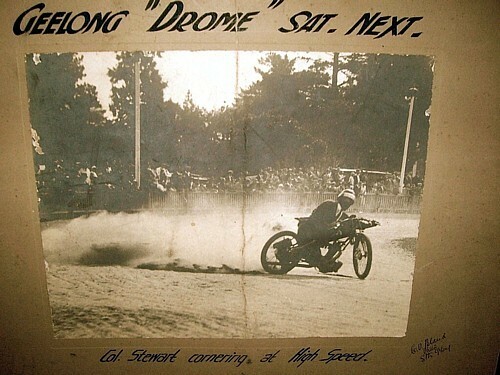 1927 - Geelong Drome - Colin on Norton. 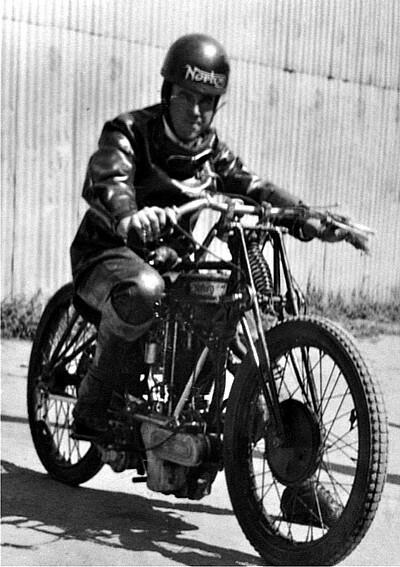 1929 - London - England - Colin on an Indian. 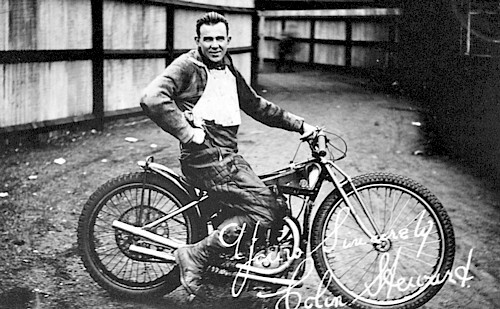 1929 - Belle Vue Speedway - Manchester - Colin on a Rudge. Col finds time to eat an apple. 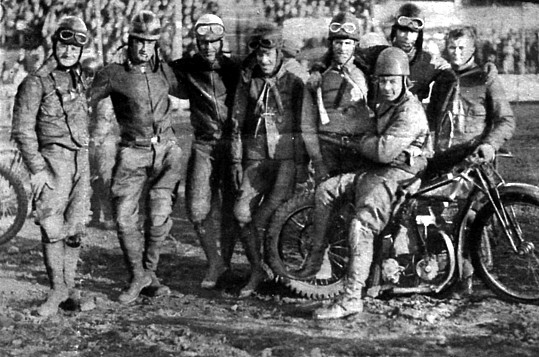 1930 - Scottish Speedway Team - L to R : Drew McQueen - Scot Mickie - Billy Galloway (NSW) - George McKenzie- Len Stewart (W.A) - Col Stewart. 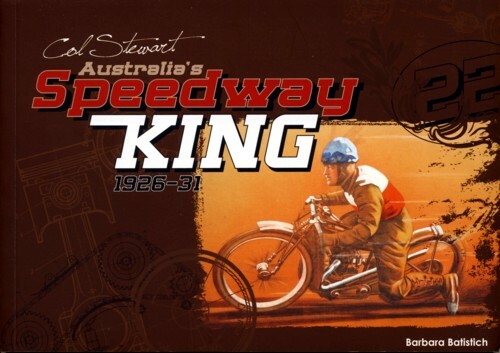 Colin Watson - Syd Parsons - 'Sprouts' Elder - Arnie Cattell - Len Stewart. 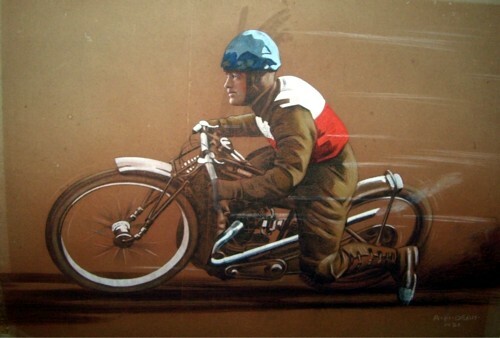 Lionel Van Praag- Buster Frogley - ?? Front Row: ?? - George Greenwood - Jack Ormston- (Team Mascot) Ian Hoskins. 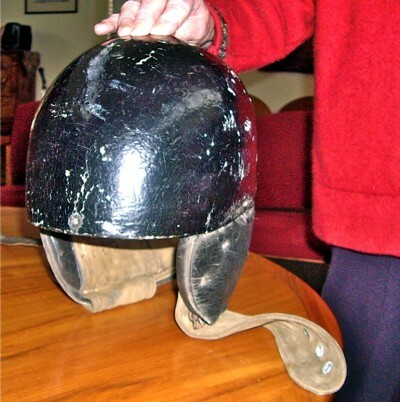 The dent in Colin Stewart's helmet is pointed out. 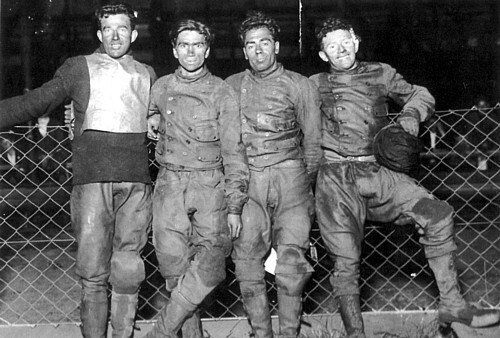 It's from his farewell ride at the Sydney Royal and the result of hitting the fence. 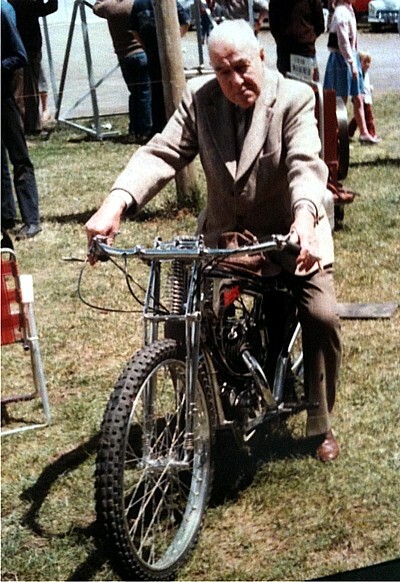 Right: Colin in 1985 on a restored Rudge. 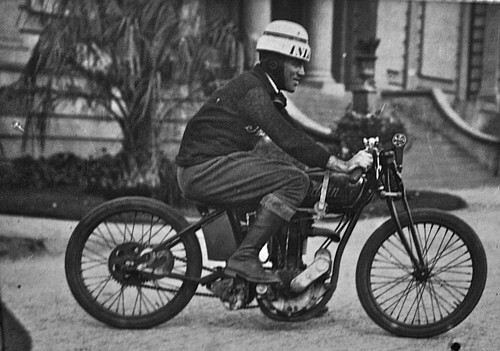 There is a good possibility that the Copyright of some of these photos belong to John Somerville of Scotland, as John holds the Copyright to most of the major UK collections pre and post war. 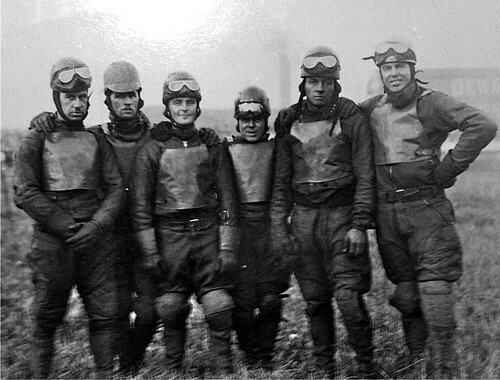 Assuming some are from the John Somerville Collection - thank you John.